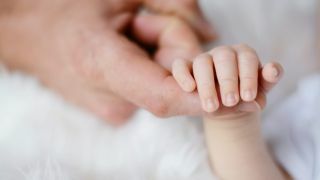 They’re growing fast, and that includes those mysterious hand and toe talons that seem to get longer every time you look at them, so keep them in check with our pick of the best baby nail clippers. Cutting baby’s nails for the first time can be harrowing stuff for new parents, but rest assured these safe picks will make short work of scraggly nails, and in any case, it’s more pleasant than them scratching themselves and then wailing like it’s your fault. You may find yourself trimming their fingernails more than once a week to begin with, while toenails grow a little more slowly. Whatever end you’re cutting, the general guidance is simply to make sure you don’t cut too low, as this can risk cutting the quick and potentially kickstarting an infection. If you’re nervous, you can stick to gently filing back the nails at first, while they’re still very soft and flexible, although baby nail trimmers and scissors are specially engineered with rounded ends, so they’re completely safe when used with care. Overall, our top pick is the Safety 1st Sleepy Baby Nail Clippers for their stability and onboard LED, however if you prefer the sound of scissors, you may want to give Piyo Piyo Baby Nail Scissors a try. If you’re feeling especially wobbly when embarking on your first clipping, these magnifier nail clippers might help ease some of the nerves. With the combination of a built-in 4x magnifying glass and ultra-precise stainless steel blades, there’s very little margin for error when using these American Red Cross-approved clippers, and that little looking glass helps reduce eye strain in overtired and short-sighted parents too. Finally, the ergonomic grips ensure you won’t slip. Aaaand relax. Like our first pick, this baby nail trimmer comes with an onboard light for nocturnal nail-clipping without waking the client, and a quiet motor to the same end. The difference is in the technical approach, as this one doesn’t use traditional clipper blades, but a fine-grit grinding head to gently and steadily file down baby’s nails to a serviceable length with smooth edges. There are clearly colour-coded heads for different ages, from birth to 12 months plus, and even adult polishing and buffing heads for when you get a moment to treat yourself to a manicure. Far and away the most budget-friendly option on our list, these Tommee Tippee nail clippers are fairly basic as these things go, but they provide the peace of mind without the extra pocket money, and there’s nothing wrong with that. Reviewers found that, especially for their bargain price, these clippers were strong and sharp enough to handle fast-growing nails, but not so sharp that they worried about doing damage, with an easy-grip handle for more reassuring stability when trying to get at wriggly fingers and toes.